Is North Canterbury’s only clinic dedicated to the prevention, diagnosis and treatment of skin cancers. Places emphasis on the accurate identification of lesions that are, or are not, of concern by offering comprehensive skin checks. Skin checks at The Dermoscopy Centre will be undertaken by an experienced doctor, with both advanced training and formal qualifications specific to the identification and treatment of skin cancers. Are experts in the field of Dermoscopy, the microscopic examination, and where required, the photography, of skin lesions. Dermoscopy, when practiced by doctors with advanced qualifications and training, has been shown to result in a significant improvement in the quality of diagnosis of skin cancers. Provides access to doctors specifically qualified in the minor surgical procedures, and topical treatments pertaining to skin cancer medicine. Minor surgical procedures can be provided in the comprehensively equipped, modern and comfortable clinic in Rangiora. Julia is a graduate of the University of Newcastle upon Tyne medical school. She undertook vocational training in General Practice in the UK, before moving to New Zealand in 1995. She has been continuously engaged in General Practice since then, and for the last ten years, in North Canterbury. 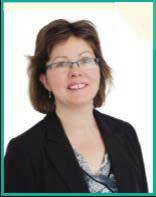 Julia has been a Fellow of the Royal New Zealand College of General Practitioner’s since 1999. In order to improve knowledge of skin cancers, develop minor surgical skills, and reduce the number of referrals, Canterbury GP’s were invited to work a few sessions at the Burwood Hospitals Outpatient Procedures Unit (BOPU). Julia was one of the first, and, stopping only recently, she regularly worked at BOPU for several years. Throughout this time, she also continued to develop expertise in the diagnosis and treatment of skin cancers through additional training and her General Practice work. She initially attended a number of short courses pertaining to skin cancer medicine, especially in the field of Dermoscopy before, in 2011, taking the much bigger step of studying for the Skin Cancer College of Australasia’s (SCCA) Postgraduate Diploma in Dermoscopy that she received with Distinction. Julia has also since completed study for the Postgraduate Diploma in Skin Cancer Medicine and Surgery. In 2013 she opened The Dermoscopy Centre, North Canterbury's only clinic dedicated to the prevention, diagnosis and treatment of skin cancers. In 2014 she accepted an invitation to join the tutor team at the SCCA, and now tutors doctors throughout Australasia who aspire to higher qualifications in dermoscopy and skin cancer medicine. Through regular participation in the activities of the SCCA, and other organisations and maintaining contacts throughout the world wide network of clinicians passionate about skin cancer medicine, The Dermoscopy Centre will continue to seek the knowledge, and develop the expertise, necessary to bring world class skin cancer diagnosis and treatments to North Canterbury.